Our Clinical Team Leaders help instruct and manage workflow keeping their respective teams running in the most efficient and patient-friendly fashion, and these individuals are responsible for quality assurance for their fields. 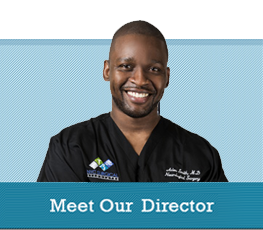 Lead Surgical TechnicianRosa was born and raised in Brooklyn, NY and loves the hustle and bustle of the city. She graduated top of her class at Long Island University and is one of our top Surgical Technicians. She was accredited by the Association of Surgical Technology and received her board certification from The National Board of Surgical Technology. While doing her clinical rotations at Columbia University Medical Center she found her love for patient care and it shows through her kindness and genuine smile she brings to everyone. LMTLizabeth is a tremendously skilled medical massage therapist well versed in manual lymphatic drainage techniques that assist our pre and post operative patients with more rapid healing and return to function.Prior to joining NYC Surgical, she was one of the head massage therapists for the famed Cirque du Soleil performers, and helped treat their very frequent injuries associated with such intense physical activity. She is heavily involved in continuing medical education, and her warm, disarming demeanor brings a smile to all that meet her.